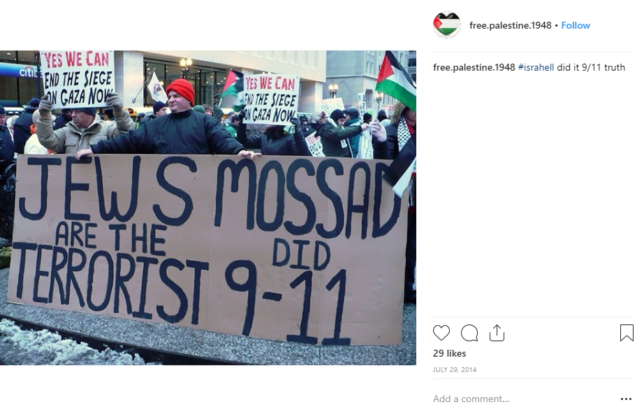 Rep. Rashida Tlaib (D-MI), who made news for being the first Palestinian Muslim woman elected to U.S. Congress, follows an Instagram account that routinely shares blatantly anti-Semitic posts and 9/11 conspiracy theories. 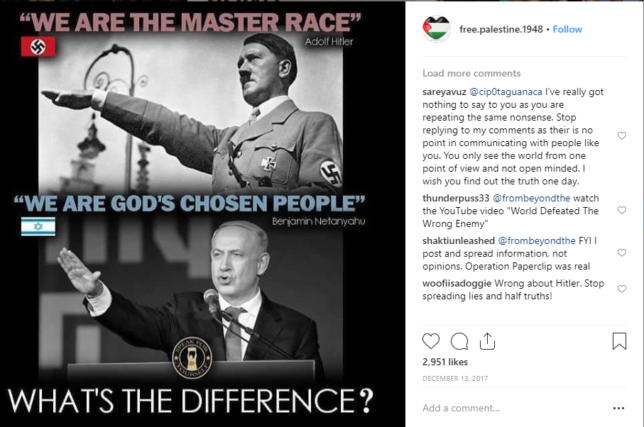 The account Tlaib follows shares posts comparing Jews to vermin and Hitler, posts asserting Jews wield an enormous amount of power, and posts claiming Israel “did” 9/11 and supports ISIS. Tlaib’s official verified Instagram account, which follows under 1,100 users, is following an account called “free.palestine.1948,” a reference to the establishment of Israel. The Instagram page appears to post multiple times per day. While Tlaib does follow other pages that mention “Palestine” in their names, those pages are private. Tlaib does not appear to follow any obviously pro-Israel pages. Here are a couple posts from the Free Palestine 1948 page.